If you’re planning a trip to Maui, you might be overwhelmed with everything there is to do here, and you’re wondering what should go on your list. Of course, that all depends on how much time you’ll be spending here, what your budget is, and how much you’re willing to fit in to your precious vacation time while still relaxing! To help you narrow it down, here are our five Maui Musts—five categories of experiences that you really shouldn’t miss while visiting Maui. With sparkling, azure-blue waters, Maui is one of the best places in the world to get in the ocean. By just driving down the coast, you’ll see hundreds of people who see the ocean as their natural habitat: swimmers, divers, surfers, stand-up paddlers, and more. You certainly owe it to yourself during your Maui vacation to hop in for some fun! Plenty of visitors spend a great deal of time snorkeling, and others try out boogie-boarding, stand-up paddling, or take some surfing lessons. Whatever you choose, you’ll have a ton of fun enjoying Maui’s favorite playground. Even if you’re focused on staying in the water as much as possible during your Maui vacation, you’ll definitely want to check out the rest of Maui’s natural beauty. Maui offers some of the most beautiful hiking spots in the country, so if that’s your thing, you’ll definitely want to pack your boots! Not a hiker? Not to worry, there are still plenty of ways to enjoy Maui’s incredible geology. Visit Haleakala at sunrise, explore the world-famous Road to Hana, or even go horseback-riding in Maui’s cool, laid-back Upcountry. You saw this one coming, didn’t you? It’s true, though—one of the best ways to explore Maui’s incredible beauty is by air, and there are few ways to do it! You can enjoy hang-gliding, small plane tours, and, most famously, helicopter tours around our beautiful island. You can get a bird’s-eye view of Haleakala, West Maui, the Road to Hana, and even other islands with one of the many options for air tours on Maui. Want to check off two of your musts at once? Try a Hana Sky-Trek! You’ll enjoy a land tour of the Road to Hana, and a helicopter tour of East Maui and Haleakala, all in one half-day adventure. Once you’ve covered sea, land, and air, you’ll want to get deeper into Maui’s heart with an activity that showcases our rich cultural heritage. Luaus are a very popular choice, and we love Old Lahaina Luau for its Hawaiian authenticity. For a more modern cultural experience, many people love Ulalena for its Cirque du Soleil-style acrobatics, while telling a unique Hawaiian story. Check with your resort, too, for things like hula lessons, kapa- and lei-making classes, and complimentary lectures on Hawaiian heritage. Yes, of course you’ll be eating while you’re here! What’s really a must, though, is taking time for at least one top-of-the-line dining experience during your Maui vacation. If you’re looking to indulge in the freshest Hawaiian fusion cuisine imaginable, look no further than Mama’s Fish House in Paia. Enjoy amazing views while feasting on fish so fresh, the name of the fisherman who caught it that morning is right on the menu! Fish not your thing? There are hundreds of other top-notch dining venues on the island, like Morimoto, Migrant, Spago, Merriman’s, and more! There are plenty of other things to fill your time on Maui, and more than likely, you’ll check off a few of these more than once. 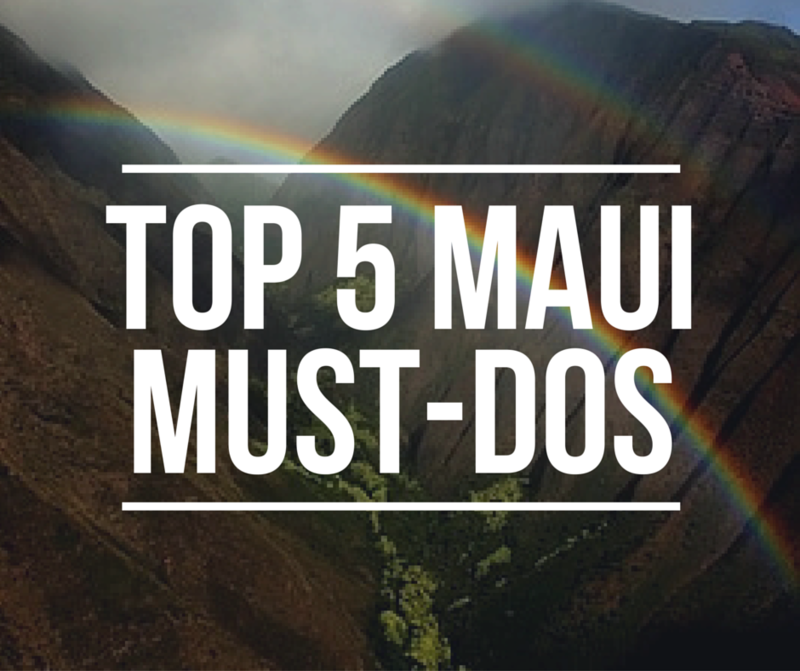 We hope you’ll find something perfect for you in each category, to make your trip to Maui as fulfilling as possible. We are all so very humbled to have had such a wonderful year! It was a true pleasure to host guests from all over the world, and enjoy the very best of Maui each and every day with everyone who joined us! We know that all of you had a wonderful time on our tours as well. How do we know? Because you told us! 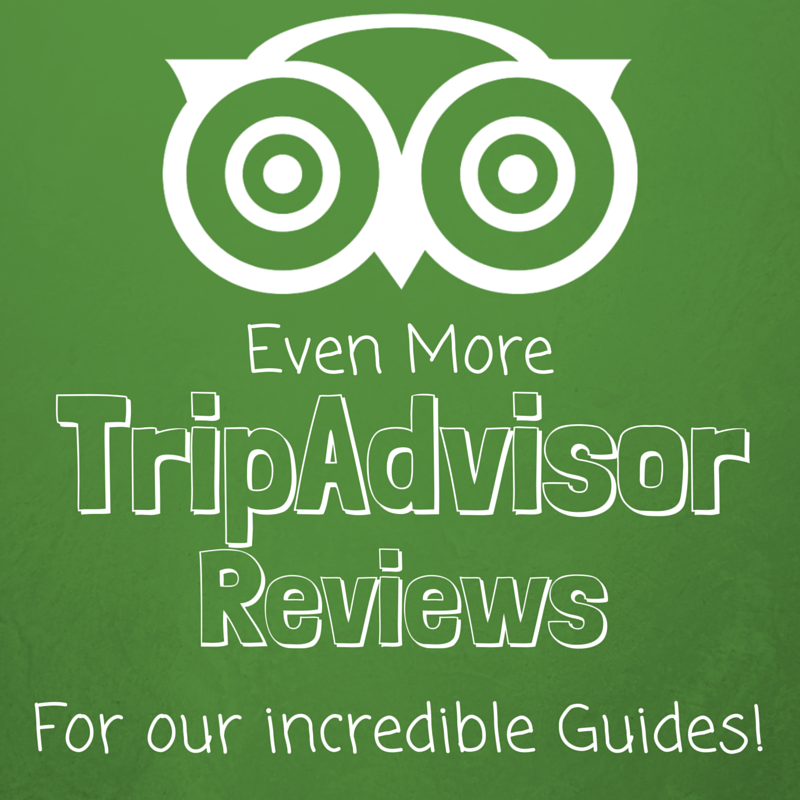 Here are some of the highlights of your best TripAdvisor reviews this year! Everything about this tour was perfect! Our tour guide, Jay, was superb. He really knew about the area, and made sure we saw all the best views at just the right times. So glad we were fortunate enough to have Jay as our tour guide. Jay was well-versed, funny and very personable. I would highly recommend this tour. It is a long day trip but well worth your time. … Jay was very careful as he came around the right curves and made sure we were all comfortable and safe throughout the trip. … Thank you Jay for a great trip to Hana! I have done many tours in many cities but few tour guides rival Scott. … We had a perfect morning and saw a clear perfect sunrise! So now on to Scott. He knows all about the history, topography, plants, stars and planets. He positioned us in the perfect location, out of wind as best as possible. He showed us and others not in our tour group how to set cameras for the best photos, and used our cameras to get great pics for us. After the spectacular sunrise, we were taken to Kula Lodge for a huge satisfying breakfast. We had time to explore the gift shops and flower garden. Scott knew about all of the flowers and plants. … he knows his stuff!! We were wonderfully cared for and would highly recommend this tour and this guide. 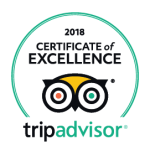 Of course, Gary, Jay, and Scott are not the only highly-praised Tour Guides on our TripAdvisor page, so check it out! If you and your family number among the thousands of guests who have joined us on tour this year, please add your thoughts as well, to help future travelers discover the luxury, comfort, and Maui-Magic of Temptation Tours! Over the last year and a half, I’ve been putting out a blog post here about once a week. I’ve written about fun Maui activities, shopping, dining, and more, but some of my favorite posts have been the ones where I’ve gotten to go just a bit deeper into our company and tours. By now, I’ve collected quite a few Temptation-Tours-centric posts, and I’ve compiled them below into sort of a “master-list” of excellent reading for anyone who’s planning on touring with us! I won’t call it “required reading,” but maybe “Touring 101.” If you’ve traveled with us in the past, and feel like there’s some info missing, please let me know! Haleakala Sunrise Tours – How to do it right! During this busy holiday season, we’re having fun talking to folks around the globe all about our tours, and about Maui in general. As you can imagine, we field some of the same questions every day—questions you probably have too! Here’s a list of some general questions we get pretty often. We host six to eight guests on each tour. Expect a maximum of six on the Hana Sky-Trek tour, due to the capacity of the helicopter. Do you pick up at ____________? Pretty much anywhere you’re staying, we’ll pick up. We’ll have to make special considerations for gated communities, and if you’re staying deep in Haiku or in Hana, we’ll arrange to meet you somewhere centrally. Otherwise, from Makena to Kapalua, we will be there—whether you’re in a hotel, resort, condo, private residence, or at one of our two cruise ship ports. What do you serve for lunch on your tours? Click here for a rundown of all meals served on our tours. All of our tours operate rain or shine, safety permitting of course. If there are major road closures or unsafe conditions, we’ll cancel your tour and do our best to reschedule you! What if the helicopter can’t fly for the Hana Sky-Trek? 7:00 AM Tour: Since the 7:00 AM tour begins with the drive to Hana, and ends with the flight back, you’ll most likely be in Hana by the time we receive word that the flight can’t take place. Your Tour Guide will take you on a leisurely drive back to the Kahului Heliport, where you’re parked. There, you’ll talk to the helicopter staff to reschedule the flight portion of your tour, at no additional cost. If you can’t reschedule, we’ll get in touch with your booking agency right away to approve a 50% refund of the cost of your tour—equivalent to the price of the helicopter portion of the tour. You’ll only pay for the Road to Hana and picnic lunch portion of the tour. 11:15 AM Tour: Since your tour begins with the helicopter portion, we’ll try and reschedule your entire tour for the next available day, at no additional cost. If you’re unable to reschedule, we’ll get in touch with your booking agency right away to approve a 100% refund of the cost of your tour. Is there a minimum for your tours to confirm? Yep—for most of our tours, we do require a minimum of four guests in order to conduct the tour. For the Hana Sky-Trek, we need to meet a minimum for both the AM and the PM tour in order for either to operate. 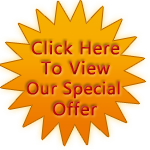 Read all about our Luxury Limo-Vans here. Can we request a particular Tour Guide? Of course! Our Hawaii-Certified Tour Guides are always thrilled to take requests, as long as their schedule permits. If you’re going to request a particular guide, it’s best to have a second- and a third-choice date for your tour, just in case. In the event that your requested Tour Guide is unavailable, we’ll let you know as soon as possible! Can we request certain seats in the Limo-Van? We can reserve the “shotgun” seat, next to the driver, for guests who need a little extra help entering and exiting the Limo-Van, or for those who might experience some motion sickness. Otherwise, we’re unable to reserve certain seats in the Limo-Van, due to the small-group nature of our tours. Yes, although you’ll know best what your child will be most interested in seeing and doing. We imagine that some younger ones might not be too excited by the winery or lavender farm on the Summit Lavender Sojourn, but will love the chance to explore underground lava tubes or hop on a helicopter on the Hana Cave-Quest or Hana Sky-Trek tours. For little ones under eight, we’ll provide booster seats or car seats, as required by Hawaii state law. For Haleakala Sunrise tours, add one day to each—e.g., a party of two would need to cancel their Haleakala Sunrise tour three days prior to their tour date, by 7:00 AM. Of course, this is just a small sample of questions we get on a daily basis here, and if we haven’t answered yours, please let us know! Email us at info@temptationtours.com, or call us at 1-800-817-1234, and we’ll be happy to answer any questions you may have. We can’t wait to host you on one of our award-winning tours soon! We’ve gotten lots of questions about the safety of our tours for some very special guests—we’re looking at you, moms-to-be! And while of course, you should always consult your healthcare provider before doing anything you’re unsure of, I hope I can clear up a few concerns some prospective guests may have about touring on Maui while hapai. In general, most healthcare providers cite the later second trimester—around 18 to 24 weeks—as the safest time to travel. It makes sense; by then, you’re getting accustomed to your shifting center of gravity, and your morning sickness should have subsided. It’s also the time when there tend to be the least complications, and it’s before you really start feeling the exhaustion and discomfort of the third trimester. That being said, plenty of pregnant ladies have traveled to Maui from their first to their third trimesters with no problems, but, again, check with your doctor before booking any tickets! If you’ll be touring with us, it’s important to consider which tour is going to be the best for you. First and foremost, what are you most interested in? Have you been dying to escape to the Road to Hana, or is the Sunrise at Haleakala on your Babymoon must-do list? Rest assured, with a few extra precautions, you can most likely enjoy whichever tour you had your heart set on! Even folks who aren’t touring-for-two might have some concerns about motion sickness when traveling the Road to Hana, so if you’re already a bit more nausea-prone than usual, you might be a little wary. Trust us, we get it! Let us know beforehand, and we’ll try to reserve the “shotgun” seat for you. Otherwise, we always recommend ginger candy for anyone who might be nauseated, and some folks report having good luck with the wristbands that use acupressure to reduce motion sickness. Don’t take any nausea medications that might cause drowsiness, especially if you haven’t double-checked with your doc! Even though we’re not a hiking company, you can expect to encounter all that comes with walking on natural terrain while on any of our Road to Hana tours, including rocks, gravel, roots, and mud, so make sure to take care to avoid tripping. Enlist the help of your travel partner if need be, and let your Tour Guide know, so he or she can slow the pace, if needed. If you’re wary about making your way to the swim stop at Pua’a Ka’a, your Tour Guide can arrange for a swimming stop at the black sand beach instead. You might not feel comfortable walking through the Ka’eleku Caverns if you’re not as steady on your feet as usual, so you might want to opt out of the Hana Cave-Quest, and stick with the Hana Picnic or Hana Ultimate instead. 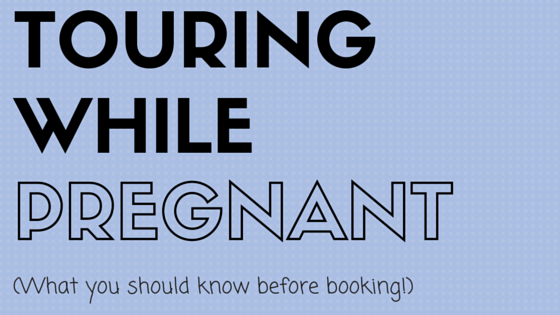 For the Hana Sky-Trek, helicopter tours are generally not recommended after the seventh month of pregnancy, so keep that in mind when making plans! When traveling to Haleakala, there is a rather curvy stretch of road to consider, so some of the same precautions from the Road to Hana might apply. Otherwise, the main concern you might have would be the elevation; the Summit of Haleakala sits 10,023 feet above sea level. As you can imagine, the air at that elevation can be a little thin, so prepare to take it easy while exploring the National Park—especially if you’re prone to getting a little more out of breath than normal while pregnant. For any trip to Haleakala, we definitely recommend a call to your healthcare provider beforehand, in case you may have any pre-existing conditions (asthma or heart conditions) that may be exacerbated by high elevations. Otherwise, pregnant women visit the Summit of Haleakala on a daily basis, and I went myself for Sunrise while 20 weeks pregnant with my son Leo—no problems at all! If you’ll be going for Sunrise, be sure to bundle up, and take care to remember gloves or mittens and thick socks, since circulation in your hands and feet may be a bit different. Remember, temperatures at the Summit can be near- or below-freezing, so take the same steps you’d take during the winter months back home to stay cozy! Your Tour Guide will have warm coffee and tea, or hot cocoa if you’re avoiding too much caffeine! Click here for a detailed rundown on all the food served on our tours. If you’ve been advised to avoid something in particular during your pregnancy, give us a call so we can make the proper arrangements. You’re always welcome to bring your own extra snacks, and if you’re traveling with us on the Road to Hana, you’ll have a chance to pick up some famous banana bread along the way! Ice cold bottled water and tropical soft-drinks are available on each tour, so you’ll be able to stay hydrated all day. We’re excited to welcome you on any of our tours, and are very used to hosting moms-to-be on a regular basis. We’ll reiterate, of course, that only your healthcare provider can tell you whether any activity is safe, but we’re also happy to answer any questions either you or your doctor may have before making the final call. We can’t wait to be a part of your next vacation—babymoon, or otherwise!